The prevalence of chronic obstructive pulmonary disease (COPD) has increased more rapidly in women than in men during the past two decades. Clinical presentation, comorbidities and prognosis may differ between genders and may influence management decisions. The influence of gender on COPD expression has not been clearly explained to date. Thus, the aim of this study was to evaluate significant differences between women and men suffering from COPD, regarding clinical presentation, pulmonary function test results, comorbidities, and prognosis. We prospectively recruited 470 patients with stable COPD with a history of smoking (152 women, 318 men, mean age 65.5 ± 8.8 vs. 66.6 ± 9.4 years, respectively). Comorbidities and exacerbations were recorded. Spirometry, body plethysmography, carbon monoxide diffusing capacity and 6-min walk tests were performed. The BODE prognostic score was also calculated. We found that women smoked less in comparison to men (30.4 vs. 41.9 pack-years, p < 0.05), showed more exacerbations (2.5 vs. 1.7, p = 0.01), higher forced expiratory volume in 1 s (FEV1%predicted), and increased residual volume/total lung capacity (RV/%TLC), but they had the same intensity of dyspnea. Women showed fewer comorbidities, on average, per patient (5.4 vs. 6.4, p = 0.002), but had a higher prevalence of at least seven comorbidities per patient (48.7% of women vs. 33.0% of men, p < 0.05). Women also had a significantly worse prognosis (4.6 vs. 3.1 BODE score, p < 0.05) that correlated with the number of comorbidities (r = 0.33, p < 0.01). In conclusion, this study strongly supports the existence of different gender phenotypes in COPD, especially regarding exacerbations, comorbidities, and prognosis. The gender difference may indicate a need for a targeted assessment and management of COPD in women and men. 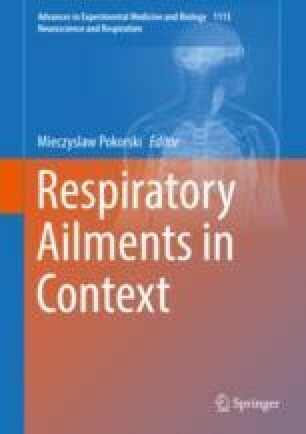 The study was supported by the Polish National Center for Research and Development, grant 13003406/2009, entitled ‘Chronic obstructive pulmonary disease (COPD) – systemic disease, the biggest threat of twenty-first century’.